My team and I recently conducted fieldwork in Kenya. The purpose of our stay was to gain a deeper understanding of the use and adoption of information technologies amongst farmers. We aimed to map out the agricultural value chain, so as to grasp the structures and systems of information exchange which underpin its workings. 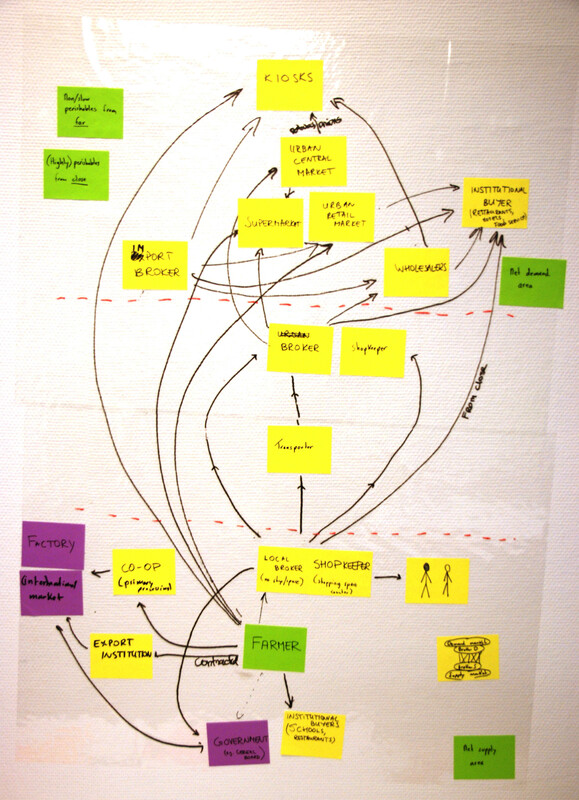 When we were mapping out the value chain we came to an important realization. The patterns that appeared in our maps did not in any way resemble what we learn from the text books. In our text books we are presented orderly abstracted value chain setups, also referred to as governance configurations in wordy terms. When mapping out the true system in Kenya, we produced something that appears a lot more messy and complex than the text book would lead us to expect. 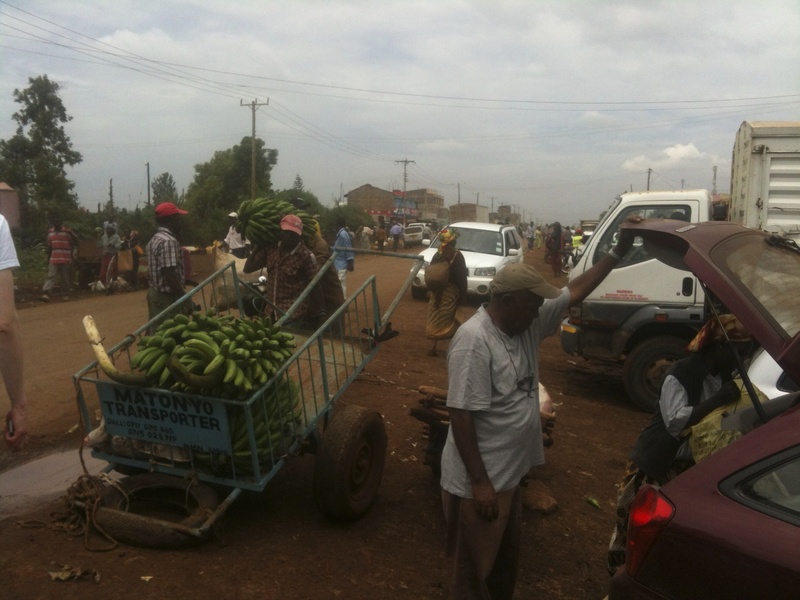 Kenya appears to have a very decentralized distribution landscape, where there are three types of zones that trade amongst each other, net demand, net supply, and the urban zones. Connections between people in each of these zones are flexible, and reach out to a variety of other connections in other (including more remote) zones. A market is not just a place where the local buyer meets the local seller. Rather, it is a place where people come in from all over, and where grading, (re)packaging, distribution, forwarding, input purchase, as well as grocery and clothes shopping etc, all happen. The market is a multiple purpose, flexible node in a web of human interaction and exchange of goods, rather than a shackle in the value chain. The picture below captures but a glimpse of this complexity. Interestingly we not only encountered this pattern of complexity in Kenya. We also saw it in the context of Maharashtra in India, where we ran a parallel inquiry. It thus appears that we can’t apply the model of a value chain to capture these contexts. 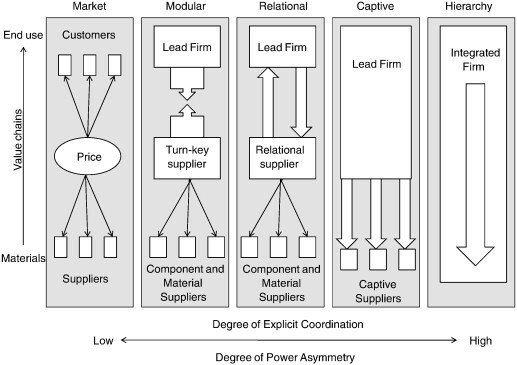 The classic, orderly pattern of exchange in value chain form, based on a hierarchy in power residing downstream, has been disrupted. I was really surprised by the observation, but if you think of it, this change is only the natural result of the ubiquity of (mobile) communication technology, which is expanding the possibilities of coordination for the individual. No longer does the power to coordinate reside exclusively with the downstream players. Small brokers, and farmers now have tools available that can increase their reach to the market, bypassing incumbent trade channels if they prove to be a barrier or insufficient. And, they’re not afraid to use them! New technology has put the landscape in transition, and we now have to tap into a value web to get ourselves organized on the market, rather than a value chain. The prevalent notion of a value chain is a relic from a bygone era of industrial organization. I liked how you termed the value chain we saw in Kenya a “do-all” kind of network, where any farmer with the right knack and inspiration has the opportunity to bypass any middlemen, become an entrepreneur farmer and disrupt the idea of a classical chain. At the same time, the value web in India had many more proper passages. It was as if the networks in India seemed more ordained, even if there were many different ways to the market, as in Kenya. One should not forget that the coordination through mobiles is only happening faster because the same coordination is possible face-to-face. For instance, in the case of a Korean restaurant in Nairobi, the entrepreneurial farmer stopped by the restaurant, had lunch and then offered a direct relationship to the manager. This type of relationship is hard to create on a mobile marketplace like Google Trader. And not surprisingly, such marketplaces instead empower middlemen who are looking for a place to acquire and sell standardized goods, not create buy-sell relationships based on the trust that the other party always comes through, as livelihood depends on it. Thanks for the comment! Yes, I think that it is important to emulate existing processes as much as possible; don’t think of something completely new. That is not likely to be adopted.